and Simon Says Stamp anything goes. 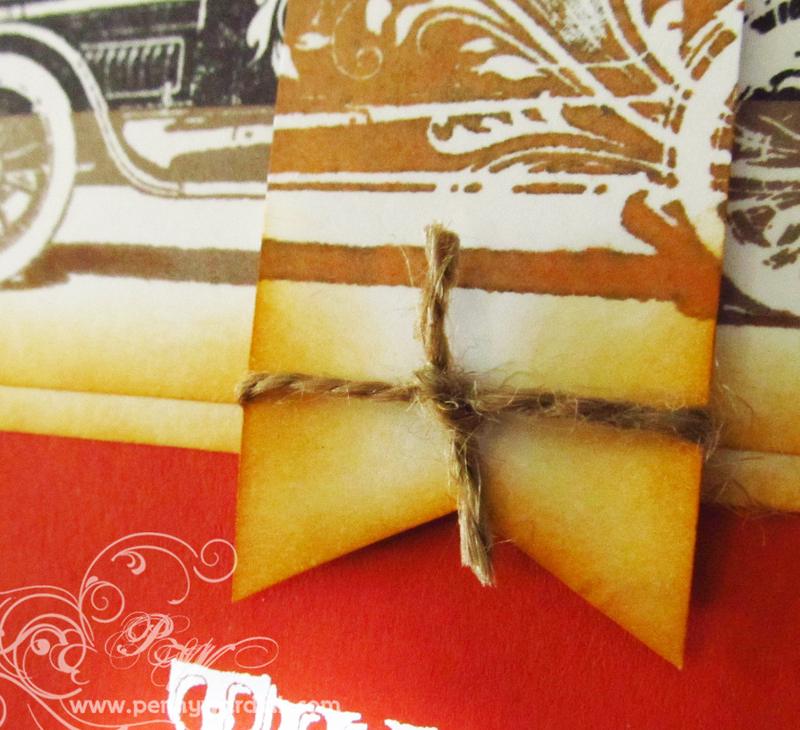 Stamp set is Hot Rod by Penny Black and includes several sentiments to go along with the beautiful car stamp. As you can see, I stamped the car three times with different color ink, then cut into strips to go along with the Sketch. Fishtail piece is popped up on foam adhesive. Awesome design!! 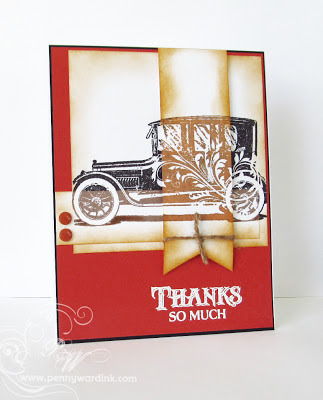 Love that stamp and you have used it beautifully!! Wow, what a neat technique you used. I love the look that it gives the image. So very cool and creative! Love it! 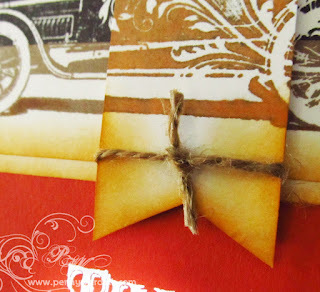 So creative on how you cut the stamped images to match the sketch! Have a great day! Thanks for joining the Simon Says Stamp Challenge! Gotta CASE this one, Penny! Wow--what a neat card! All hubby's cards are going to have the hot rod now!